The EPA recognized Charlottesville with a 2017 WaterSense Partner of the Year Award for its major contributions to WaterSense and promotion of water conservation and efficiency in 2016. The City of Charlottesville received one of 20 WaterSense awards today at the WaterSmart Innovations Conference for helping Americans to save water, energy, and money. Over the past decade, the City of Charlottesville and nearly 2,000 other WaterSense partners have helped consumers save more than 2.1 trillion gallons of water, or more than the amount used by all U.S. households for 75 days. In addition to water savings, WaterSense labeled products and homes have helped reduce the amount of energy needed to heat, pump, and treat water by 284 billion kilowatt hours-which is enough to power more than 26.3 million homes for a year-and save $46.3 billion in water and energy bills. The Imagine a Day without Water campaign and student art contest with 445 youth entries from the City and County showing what a day without water means to them. A new focus on being water smart outside with weather driven messaging to help inform the community when to water their lawns and promote ways to save water when it’s hot out. Consistent participation in numerous community events throughout the entire year as well as promotion of conservation messages and tips to save water through TV commercials, print ads, radio ads, and social media. Distribution of over 500 water conservation kits plus an additional 1,100 WaterSense labeled showerheads and 1,492 WaterSense labeled faucet aerators to City residents. “Each year we see continued support for our Water Conservation Program from the community through engagement with our programs and at community events,” said Jill Greiner, the City of Charlottesville’s Water Conservation Program Coordinator. 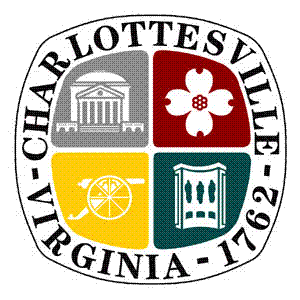 “The Water Conservation Program continues to find new and innovative ways to connect with Charlottesville residents. As we see a continued decline in our average single-family water consumption each year, we also see a sustained engagement and commitment from the community to be “A Green City”. For more information about the City of Charlottesville’s water utility and water conservation program, visit: www.charlottesville.org/water. For more information about WaterSense, visit www.epa.gov/watersense. WaterSense, a partnership program sponsored by EPA, seeks to protect the future of our nation’s water supply by offering consumers and businesses simple ways to use less water with water-efficient products, homes, and services.